Did you put a laying bin in there? 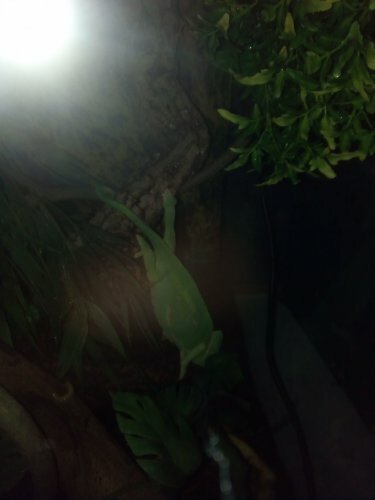 I only got her 2 weeks ago and when I was transfering her over to her new tank I was cleaning out the old one and found old eggs in her substrate so I presume she would lay again in her coconut husk fibre or do I need a bin?? I would recommend you take her to a vet as soon as possible. What do u think chamfreak vets??? We’ll worry about the cause later, getting her to a vet ASAP is key here. Good. Keep us posted. I hope all goes well. Still waiting on vet she has bin she's sitting in it any idea??? I couldn’t tell you, but sounds like she may be egg bound. Only a vet can diagnose and help solve this problem. I think your lying to the only people trying to help you. Do you really have an appointment? About 12:30 AM you said she had an appointment in 3 hours so she should have seen the vet 3:30 AM my time. It’s 9:30 AM now and 20 mins ago you said your waiting for the appointment. well she may have retained an egg or two so go to the vet asap can you keep us updated?